It's official! 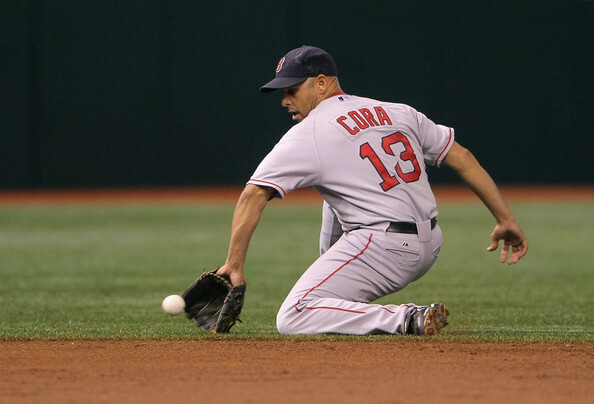 The Red Sox announced on Sunday afternoon the hiring of former team infielder Alex Cora as the new manager of The Carmine Hose. The 42-year old Cora, who played 14 seasons in the major leagues (2005-2008 with Boston), won a World Series title with the club in 2007. He replaces John Farrell—who led the Red Sox to back-to-back Division titles for the first time in franchise history (2016, 2017) and also won two World Series Championships (2007, 2013). Cora is currently the bench coach of the 2017 American League Champion Houston Astros. The contract is for three years—running through the 2020 season (with a club option for the 2021 season). Said Cora, "I am extremely honored and humbled to be named manager of the Boston Red Sox and I want to thank Dave, John Henry, Tom Werner, and Sam Kennedy for giving me such a tremendous opportunity. Returning to the Red Sox and the city of Boston is a dream come true for me and my family and I look forward to working toward the ultimate goal of winning another championship for this city and its great fans." Welcome back, Alex!